Joseph, the silent man of the Gospels, is in the line of the great men of faith of the Old Testament. He is described as a “just man”, a righteous man of integrity. He is in the tradition of Abraham who was called by God to “walk before my face and be upright (Gen: 17.1) and of Moses who was told to be “entirely sincere”, “entirely faithful” (Deut: 18.13). For centuries his place in the story of Jesus was comparatively unnoticed. Gradually, in Catholic tradition, he was recognised as patron of fathers of families, of bursars and procurators, of manual workers, especially carpenters, and of all who desire a holy death. His feast is celebrated on March 19th. O Saint Joseph, do assist me by your powerful intercession, and obtain for me from your Divine Son all spiritual blessings, through Jesus Christ, our Lord, So that, having engaged here below your heavenly power, I may offer my thanksgiving and homage to the most Loving of Fathers. 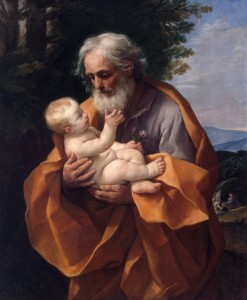 O Saint Joseph, I never weary contemplating you and Jesus asleep in your arms; I dare not approach while He reposes near your heart. Press Him in my name and kiss his fine head for me and ask him to return the Kiss when I draw my dying breath. 12:30 pm- Mass for the intentions of all our parishioners. 6:30 pm- in Pickering, Mass for the intentions of all our parishioners. followed by the Exposition and Adoration of the Blessed Sacrament until midnight. From now on, The evening Maronite Mass will be celebrated every Sunday at 6:30pm in Pickering. The Catechism and preparation sessions already started on November 24th, 2018.
in Our Lady of Lebanon Church for Saint Charbel Mass.